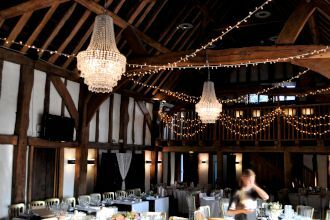 A pair of our stunning crystal chandeliers installed with fairy light crossed strands and balcony swags for a wedding at the Tudor Barn in Burnham. We installed chandeliers hanging from the two high beams above the central area of the barn, along with fairy lights arranged in crosses between all four beams. 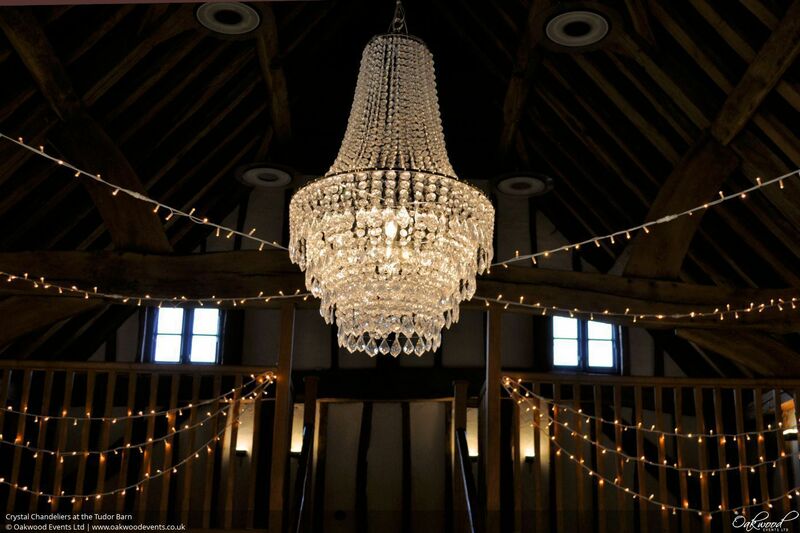 We also added triple swags of fairy lights along both balconies to complete the look. 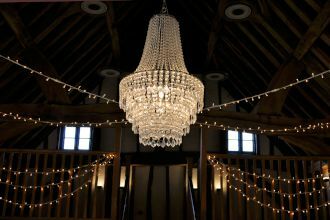 During the day they looked fabulous above the tables and in the evening both the chandeliers and the fairy lights were dimmed to a gentle glow during the disco.